I remember well those wonderful days in 1974 as I sat before my Spiritual Master Srila Prabhupada and heard discourses on the ancient Bhagavad-gita, beloved by Emerson and Thoreau, as the sun rose over the tiny terrace-house Temple in Burnett Street, St Kilda in Melbourne (pictured below). The world moves in mysterious ways. Russia came down hard on religious expression throughout the 80’s and 90’s, but recently it has seemed to become more fair-minded. It’s all the more hard to believe then that Bhagavad-gita As It Is, one of the most respected holy scriptures of the world today, is now under the threat of being banned in Russia. “Today we received the testimony of the experts from Kemerovo State University. As it should have been expected, it is highly negative. We uploaded the petition. Please feel free to share this link. Please find below the text of the petition. On the site it is both in Russian and English. Bhagavad-gita As It Is, one of the most respected holy scriptures of the world today, is under the threat of being banned in Russia. The court proceedings will resume in Siberian city Tomsk, Russia, on Monday 19th December. 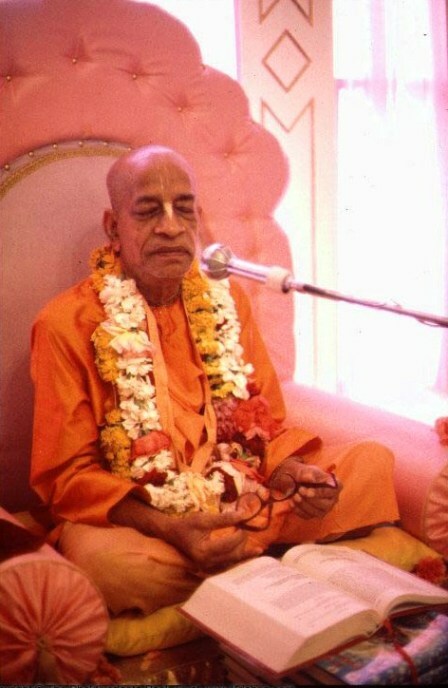 The persecutors in Tomsk suggest that the widely distributed book translated and commented upon by A. C. Bhaktivedanta Swami Prabhupada should be included in the Justice Ministry’s list of banned extremist literature. Bhagavad-gita As It Is is translated in more than 80 languages. Over 100 million copies of this book were distributed to date all over the world! Millions of people in the world today consider it as the main book in their life. The persecutors with great determination and vigor are pushing through this absurd case. During the first three court hearings, the testimony of the Tomsk experts upon which the persecutors built their case for the court was recognized as “inadequate”. However, the Persecutor’s office ordered the new testimony. Noteworthy, that the testimony was requested not from the well-known experts of Hinduism from Moscow, but from some unknown experts from Kemerovo State University. This move clearly suggests that the court decision is already predestined. This practice brings to memory the Middle Age Inquisition, Witch hunting, burning of books and the persecution of the dissidents during Soviet period of Russian history. Tomsk Ombudsperson, eminent scholars of Hinduism, the members of the Public Chamber of Russian Federation, representatives of Indian community in Russia, and people belonging to different religious denominations in Russia have already expressed their perplexity and outrage caused by the activities of Tomsk persecutors. We demand to stop the court over the Holy Scripture! These initiatives of the Tomsk Persecutor’s Office offend the religious sentiments of all the followers of Hinduism and bring disgrace to the country of Russia. Once you sign the petition – you will receive e-mail asking you to confirm your vote. This is very important – otherwise it will be canceled.